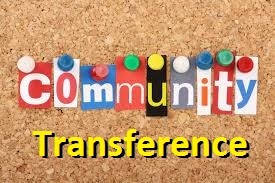 Community transference is the transferring of one’s primary community, along with all its corresponding values and mores, to another community, with its alternative values. Ask almost anyone you meet about the origin of their values, and he will tell you that he is the author of his own life philosophy. Most people feel the reason they have the values they do is because that is who they are, or that those values are “right,” and therefore they accepted them. But the truth is that most of the time, we choose a community and adapt to that community’s values. The values of a collective is what forms a community. Green Bay Packer fans are a community because of their passionate support for their team. Church people are a community because of their united faith. Some businesses have created a strong sense of community built on their corporate identity. You can hang out with any of these people in these communities, but if you don’t share their values, it will become very uncomfortable for you to remain in that group. If you break from the standard of behavior, you will generally find yourself no longer welcome in that community. It is far easier to adopt the standards of those around you, rather than go against the flow, so the great majority of people in the world do just that. That’s great news when a community seeks to help individuals climb the character hill. The recovering alcoholic can find support to sustain his resolve in an AA group or a church. A chamber of commerce can help young entrepreneurs learn about business. A grief recovery group can offer encouragement to the bereaved. But the reverse is true too. It is said that, “bad company corrupts good morals,” and those could not be truer words.